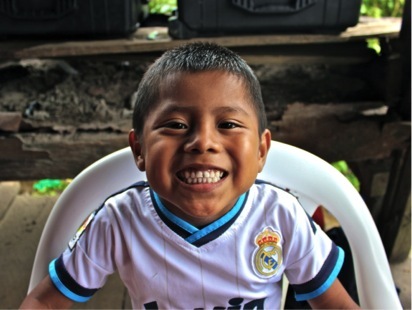 Now more than ever, we face a rising epidemic of dental caries in the teeth of children from the indigenous Ngäbe communities we serve. 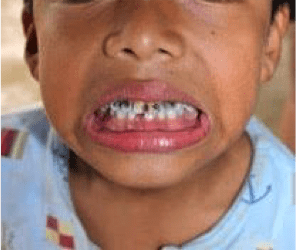 The combination of their inability to afford basic oral health products such as toothbrushes and toothpaste, poor education, lack of access to healthcare, compounded by a sharp increase in consumption of refined, sugary hot and cold drinks, has resulted in many children with decayed and broken down teeth, especially in their newly developed adult teeth, ones that will not be replaced. 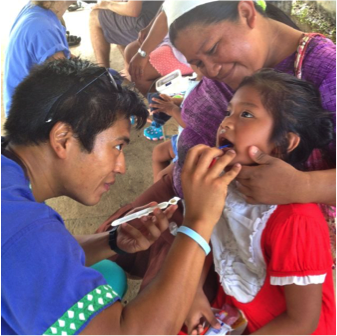 2018 saw the Floating Doctors dental program explore new horizons and greatly increase our services provided to the communities of the Bocas del Toro Archipelago. We established our first mobile dental team, held independent dental clinics, provided continuous oral health education and prevention, recorded dental health in the communities for research and we have hosted dental groups from the University of California Santa Barbara and the Dental Humanitarian Outreach Program (DHOP) of the University of Southern California. 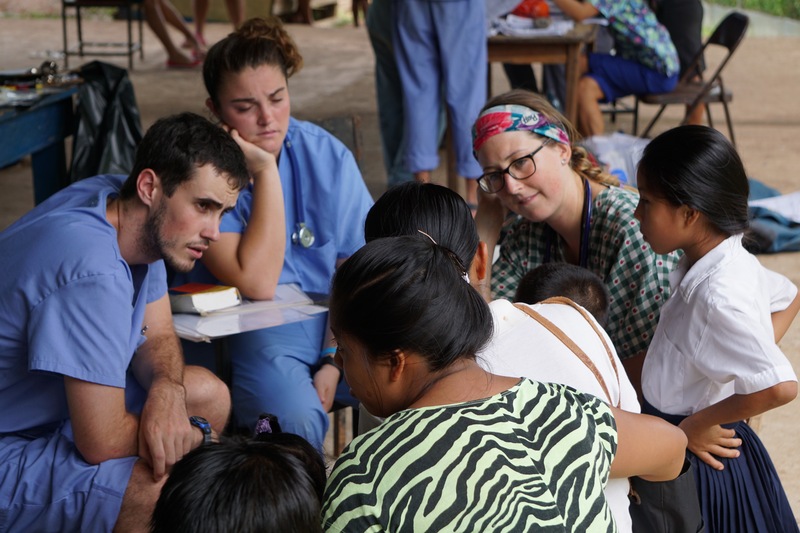 14 undergraduate students from UCSB and 3 dentists visited and stayed in the communities of Nance de Risco and Cerro Brujo, where 156 patients were seen and treated. The challenges faced by this team were numerous; it was our first dental only deployment away from the medical team, the first time we had stayed in two communities and worked 4 days consecutively, whilst setting up and packing away our equipment in between both communities and working the same day. The success of this group can only be measured by the amount of hard work put in by our FD staff and the UCSB group where despite being constantly pushed outside of their comfort zones, numerous students embraced the opportunity to learn and be part of a positive life changing experience where they sought to give to those who had less, rather than how their time with us could benefit them. 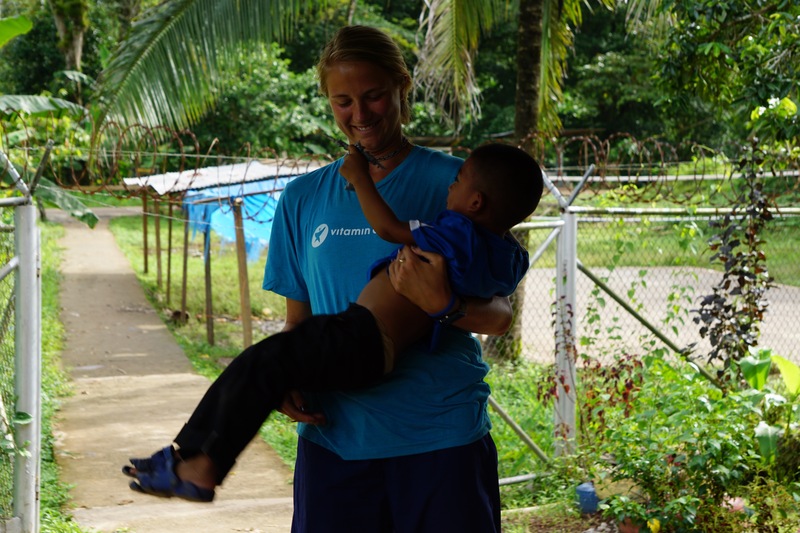 DHOP held 6 clinic days from the 9th -14th December in Bocas del Toro. 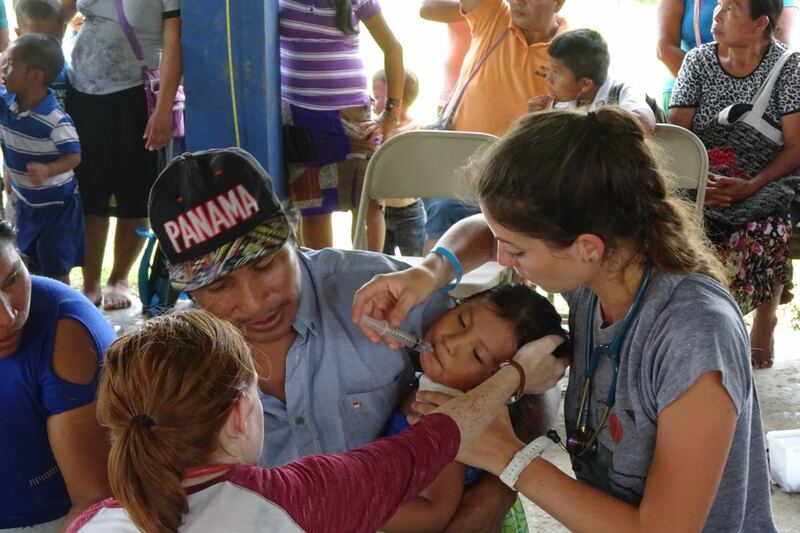 A total of 90 dentists, dental students and FD staff, worked tirelessly each day from 7am – 7pm in temperatures above 85°F, providing dental care to over 700 patients from 20 communities in the Bocas del Toro Archipelago, where some were transported 3 hours by our boats. The DHOP clinic was a very emotional experience to work alongside such a dedicated, skilled and high spirited group where it was heartwarming to see people from communities that we know, receive high quality advanced dental treatment, like Root Canal Treatment which we could not normally provide when in their community. This is the difference between saving or losing a tooth. I will never forget the family of 4 who had traveled the whole day to attend our clinic, where a 10 year old girl had fallen and broken her upper front teeth 3 weeks ago and required Root Canal Treatment. Due to the required treatment time and inability for this family to return home that day, they were given accommodation as they were unable to afford this themselves. The next day, her father could not express to me without tears in his eyes, how grateful he was for the care and compassion we had shown to his family. For me, it is not the numbers of patients that we can see that drives our ambition to care for the Ngäbe people, but it is to be present for those who have been forgotten or unable to access healthcare and being able to make one little girl smile again without losing her front teeth. Floating Doctors is proud to host groups like UCSB and DHOP so that we can try and inspire the next generation of healthcare providers to educate and improve the lives of others, so that we can leave our communities and world better than we found it. 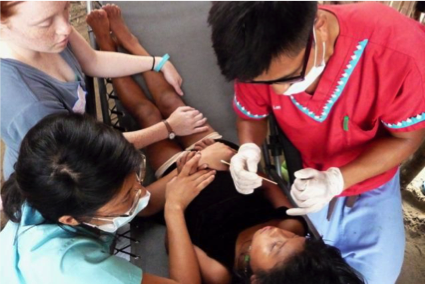 Walt Disney once said “All our dreams can come true, if we have the courage to pursue them.” 2018 saw Floating Doctors take big steps towards continuous and sustainable dental care to the communities we serve. 2019 will see huge development and partnerships being established as our family grows with increasing support from Europe and America. 2020 is still unknown for what the future holds, but I can predict that we will continue to work hard in providing dental care and education for the people in the communities who need our time, compassion and support against the challenges we will face together. Through the courage of our team and those supporting us, our dreams are not far away from reality. As the last days of the year draw to an end, I’ve been handed an impossible task. It is traditional for NGO founders to write a post at the end of the year to summarize the work of the past year and to share with everyone the vision for the year ahead. When I sat down to do so, I momentarily panicked….how can I, in a few words, convey even a small sense of what hard-won achievements by our staff and volunteers this year? 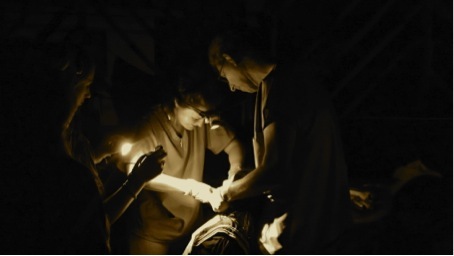 We grew from a single team to two medical teams and a dental and veterinary team deploying nearly every week. We launched a surgical program and our veterinary program blossomed. We made many new partnerships and grew our infrastructure, including building a laboratory. We published research. Patients received impossible treatments such as a new heart valve. I could go on and on well into the new year and never do justice to the victories for humanity won by women and men whose names will likely never be known to the world but whose kindness and courage will never, ever be forgotten by the people whose lives they impacted. And it was this taking such personal responsibility for strangers that I watched my team do all year long that really struck me. People talk a lot these days about ‘Global Citizenship’ and ‘Global Leadership’ but I think both of those terms lack something. ‘Global Citizenship’ seems to indicate merely living in the world, passive, and ‘Global Leadership’ smacks of the hubris of knowing better than everyone else what is needed to lead the world to righteousness. And finally this fall I realized what it was that Floating Doctors inspires in our volunteers, our supporters, our communities, and ourselves–Global STEWARDSHIP: the commitment to stand up and make a better world our own personal responsibility, in whatever ways we can every day. And that may seem like a semantic difference, but I think it is a critical one. Every evening that I can, I take my daughter (who just turned 1 year old) outside when the sun is setting and hold her to the west and I whisper in her ear. I say to her, ‘Look Aya, the sun is setting. This day is done, and will never come again. There will never be another day like it as long as we live; we can never return and change it. Were we kind and loving today? Were we honest and truthful, with others and with ourselves? Did we work hard? Did we find time for play? Did we find an opportunity to show compassion, forgiveness, courage? Is there something we put our hands on today that was more like us when we took our hands away?” I have no idea how much of what I say she can understand…all I know is that she definitely understands more than I think she does. So this is what I tell her…and, truth be told, I need to tell to myself every day also. She’s too young to to know that of course, it’s impossible for us to do all of these things every day. We are not saints. But it’s important to always aim high. After all, when you study for an exam, would you aim to get a C? If that’s as high as you raise your sights, that’s all you’ll ever achieve. Living things aren’t made to aim at mediocrity. All things strive–every living thing strives in an unforgiving universe, and to be human is to often stand with our feet in the mud, but reach always upwards towards the stars. The best part is that we don’t have to achieve all those great things every day in order to change the world. We don’t have to free a nation or launch a movement or solve world hunger. As Bobby Kennedy said, “Few will have the greatness to bend history itself, but…it is from numberless diverse acts of courage and belief that human history is shaped. Each time a man stands up for an ideal, or acts to improve the lot of others, or strikes out against injustice, he sends forth a tiny ripple of hope, and crossing each other from a million different centers of energy and daring those ripples build a current which can sweep down the mightiest walls of oppression and resistance.” That still chokes me up very time I read it. Be somebody today, so that when the sun sets tonight, you can look to the west and hold your head high because in the twilight of the 2018 you put your hands on the world and made it a little more like you–a little more compassionate and caring–when you took your hands away. Thanks for an amazing year, everyone. If you thought what we all accomplished together this year was something, just wait. We’re only getting warmed up. Happy New Year Everyone! Próspero Año Nuevo! I took this quote from a reflection that my mom wrote in Khmer, the official language of Cambodia, which makes up half of who I am. The similarities between Cambodia and Panama in terms of healthcare was also a large reason why I wanted to go on this particular trip to begin with, but beyond that, something about this Panama trip instilled a strong inclination within me to get a passport and apply. I just felt like this particular one was meant for me. And it was, truly. There are a couple of things in my life that I feel like were absolutely bound to happen and this trip was one of them. It’s a bit funny though, because even a few days after coming home, I still find it hard to describe to others what my experience was like when asked. So much had happened, and it feels like an injustice to just pick one or two things to tell them about. 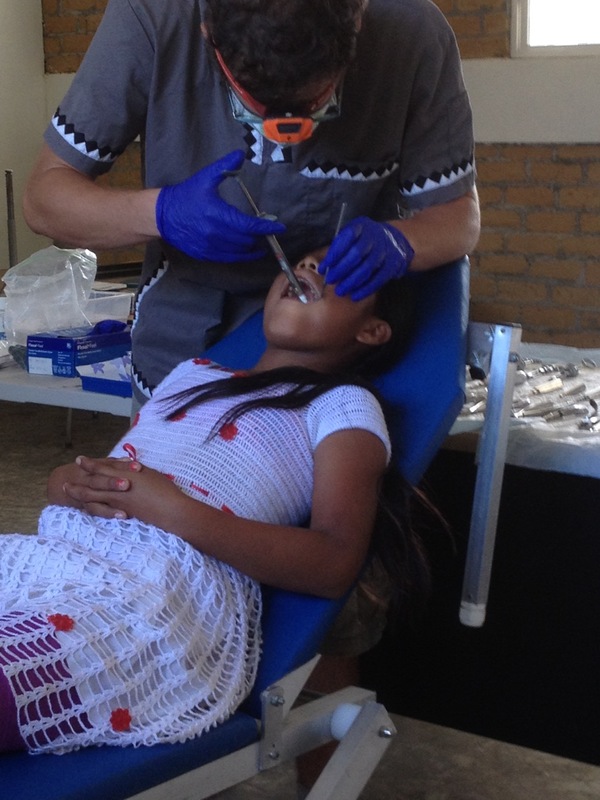 Dr. Philippe Martin from Floating Doctors and his assistant, Trisha In, work on extracting a tooth from a young male patient. 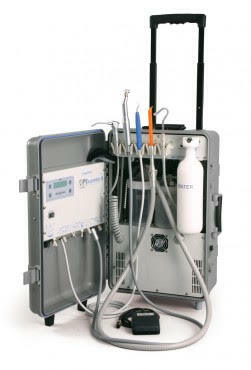 In this resource- limited setting, extractions and restorations encompass the entire scope of dental care. However, with that being said, there are a few instances that really stood out to me, ones that I hope to never forget as I continue on my pathway to become a dentist one day. My most difficult moment occurred immediately after doing my oral health and education charla with my partner, Jamie, as well as doing a solo one for the adults as part of my DK Fellowship. It was not doing the “charlas”, per se, but I remember debriefing with Mary about everything afterwards and I couldn’t help but tear up. I think in my mind, I had always thought that education would be the solution to everything (to a certain extent, I will always believe that). After all, that is why I spent so much time in the states trying to focus on making educational materials both in and out of dentistry. However, I don’t think I realized that education can only take you so far when you are in a really resource-limited setting such as this one. I could preach all that I want about flossing, mouthwash, toothpaste, etc., but it doesn’t do the community any good if they cannot access these materials. Mary seemed to understand what I was saying despite my ramblings, and she also mentioned that it’s similar for nutrition—a lot of these families don’t work. They might harvest foods for their families, wait for rainwater, and fish for their survival. So for an outsider to come in and say to do X, Y, and Z can be insensitive to their culture, resources, and way of life. I related this to how ridiculous I find it in the states that we often preach to eat healthy, but if one goes to McDonald’s, a salad costs $7 and a hamburger costs $1.50. Mary and I concluded our discussion with her telling me that despite all challenges, we must remember that we are helping the community as best as we can, given the resources that both we have, and that is something to be proud of. 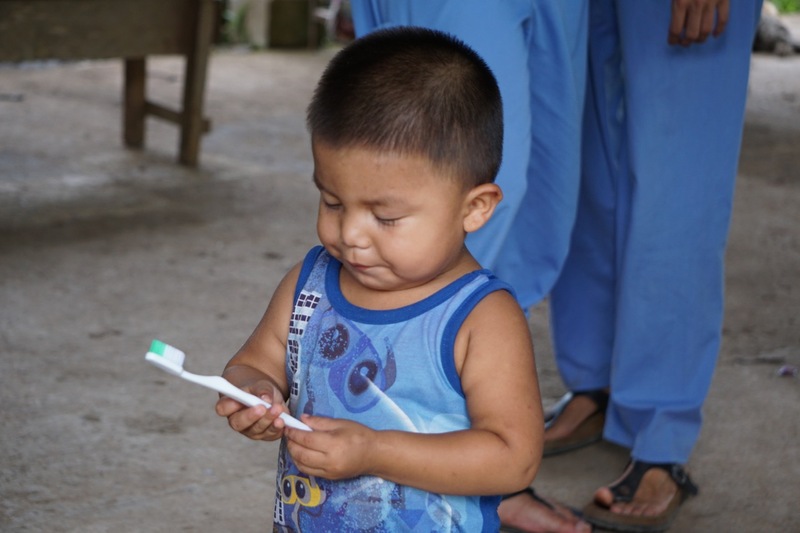 Children from the schoolhouse in Quebrada Sal learn how to properly brush their teeth after a disclosing tablet demonstration and charla given by USC students. Since it was pouring rain, the children gathered in a row under shelter! That moment was also special to me, because a few of the children from the schoolhouse followed me after the charla. I couldn’t recognize them at first, because they had changed out of their uniforms, but they told me in Spanish that they were our students from earlier. They kept following me around and it was one of the cutest things that ever happened to me. I was a little confused as to what they wanted, though. When I saw them a bit later in the day, I realized that they had seen the plastic bag of sunglasses in the pharmacy, and that was why they followed me. Unfortunately, I wasn’t as popular as I thought I was! I was, however, popular the following day in clinic when I was shadowing some of the other charlas. Since I was the one handing out water for a demonstration, I had about a dozen children follow me telling me to refill their cups so they could drink. Those cute faces made it so hard to say no, that I ended up giving them all of my water and eventually had to run away…but then they found me near the jerry can and I had to explain, “No tengo más aqua, lo siento.” On the surface level, it makes for a cute and funny story, but I could not help but remember the fact that this community does rely on rainwater as their main water source, do not have typical toilets or constant electricity. Juxtaposition is one of my favorite words in the English language—my friends always make fun of me for using it, but it’s the perfect word to explain another aspect of my time in Quebrada Sal. A hilarious and unbelievable experience on our first day there: we walked to the beach in order to shower but were kicked off due to the filming of an upcoming reality TV show. Even more hilarious was when I learned that they wanted it to seem remote, which is why nobody could be on the beach. I couldn’t help but think: that seems so contrived, especially when we literally just walked through mud from an actually isolated community, on this same exact island, but instead here we are on this beautiful, white-sandy beach, that has a sign “Welcome to Paradise” right when you set foot. I had wondered if all of the cameramen and actors knew the life that existed right outside of this beauty. Within Quebrada Sal, a white sandy beach with the clearest of waters, which was where the Floating Doctors crew was not able to shower because of the filming of a reality TV show. A Ngabe mother and child walk hand-in-hand in traditional clothing, waiting in line to be seen at the Floating Doctors clinic. Speaking of the community, there is something to be said about it here. Within the first 15 minutes of setting foot in it, while trying to find the Floating Doctors lodging area, a woman came running out of her house and asked us if there would be a dentist at the clinic the following day. When we told her that there would be, she told us “Mañana, yo voy.” I was surprised, honestly, because even in the states, I feel like going to the dentist is something that is severely under prioritized. I believed that most did not understand that oral health is an important part of overall health. It truly touched my heart that my first encounter in this community was dental-related. I also had learned how much the community respects Floating Doctors. Of course, I knew about this already from talking to Dr. Ben and learning about the organization online, but I didn’t really get it until I experienced it myself. Even in Bocas del Toro, I would use my broken Spanish to explain that I was a part of Floating Doctors and two people gave me their phone numbers to contact them if I ever needed help. One of those people was Toby, who apparently is a boat driver for Floating Doctors?! Dr. Ben also explained a while back in one of our pre-departure meetings that families will come from far away and dress up in order to visit the clinic. I witnessed this, as a line started to form before we even finished setting up the clinic, and despite rain. Another thing that I noticed particularly in the dental clinic during the two days that I got to assist was how respectful all of the patients were to us. They were willing to hold the tray of materials if I needed to go get up and reload a syringe. They would wait patiently for their turn. But something truly incredible was something that I bridged what I learned in my Palliative Care class and this Panama trip: that different cultures express pain differently. In the states, I have watched everyone, from young kids to grown men, throw tantrums from receiving one anesthetic. I’ve seen patients push the dentist’s hands away, creating an unsafe environment for everyone there, especially with all of the sharp materials. A 14-year old female patient presents with an abscess on top of a tooth, and local anesthetic is failing. Despite that, she shows unusual bravery and calmness. That brings me to my favorite patient: my first one. I was really lucky to swap places with the other assistant at this particular time, because I ended up with the coolest case that we had seen in the two days as my first one. 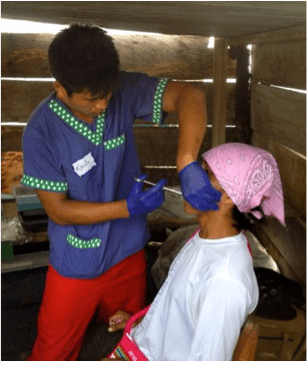 We saw a young teenage girl present with an abscess on top of a tooth, and this this made me realize just how different dental care is here versus a resource-rich area. Elsewhere, this would be an easy-fix with a root canal, but here, we had no choice but to just extract her tooth. Despite being in pain because all of the anesthetic that we gave didn’t seem to work after a certain point, I saw tears in her eyes, but she still sat calmly and let us finish. My time in the dental clinic was one of the most meaningful: I was able to meet Dr. Philippe, who is one of the most humble and inspiring dentists that I’ve ever shadowed, I realized the disparities that exist, and got to assist for the first time in my life. I have always said that if I cannot become a dentist, then I don’t want to do anything else in the healthcare field because that’s just how much I feel like dentistry is for me, and that thought was solidified when I stepped into the dental clinic after being around intake and realizing how uncomfortable and foreign that space made me feel. My friends noticed this too, that even though I was nervous to be assisting, I also was elated to be there in that moment. I feel as though a shout-out needs to be given to Dr. Philippe, who I learned has been with Floating Doctors for four years now. I do not think my experience would have been the same without him: in clinic, I told him it was my first time doing any sort of restoration mixture so I was very nervous. He told me that it was okay, and that after a few times, I would be better than him. Of course, that isn’t true, but the fact that he was so humble was very inspiring. Even outside of the clinic, he went with me to refill the can of water to clean our dirty feet and even held it for me when I tried to get all of the mud off my sandals. But the most heartwarming moment was when we were on the boat leaving Quebrada Sal, he was holding some of my DK Fellowship papers that I asked for feedback from, and despite us all getting completely drenched, he made sure to keep my papers dry despite me telling him that I had more copies. Sometimes in this field, especially in the states, I become disillusioned by all of the dentists that have admitted to me that they simply pursued a career in this path because it was lucrative or because the hours were good. It was refreshing to see someone who genuinely just wanted to help others. My mom said something funny—that every time I called home, I was in tears. I’ll ignore the fact that she put me on blast like that, but there is some truth to that statement. I couldn’t help but think of a meme that I had seen (as ridiculous as that sounds), talking about how us first-generations are so lucky to be struggling with the highest tiers of esteem and self-actualization, when our parents were dealing with the lowest physiological and safety needs. I realized that the Ngäbe community is dealing with the same needs that my mom went through, yet somehow I managed to remove myself from that in my life of privilege. So in that sense, it’s hard for me to pick a favorite experience because I think I needed all of the aforementioned aspects to come together as a whole to make my time in Panama as meaningful as it was. I had thought that I lived a hard life, given that I’ve experienced what it was like to not access dental care because of my low socioeconomic status and didn’t know where my next meal or shelter would come from. But now I can say that I don’t understand, at least not in a global context. People have always asked me what I imagine my end-all- be-all is, and I’ve always thought that it was to simply be a dentist. I had thought that if I made it that far, despite all obstacles that I thought I had faced, I would be eternally happy. I realize now that perhaps my purpose is greater, that I should do something more for the communities around me, both domestically and abroad. 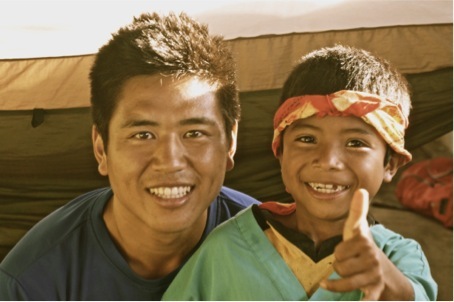 I hope that one day, I will be able to come back to Floating Doctors as a provider and do more for these communities. Thank you so much to Floating Doctors for making my first experience abroad an unforgettable one. I’ll always remember it as I continue my pathway in dentistry! At 9 years old, Mariana was confident, outgoing and so excited to see all the equipment we were unpacking that morning for the day’s medical clinic. She eagerly watched us set up the small pharmacy with medications, a scale, and a few blood pressure cuffs. She was wearing a bright green nagua, a traditional dress of the Ngäbe-Bugle people, but this was not the most striking thing about her. On her left cheek, she had a 3×3 centimeter ulcer that fortunately she seemed relatively unfazed by. As we continued to set up for clinic, I leaned over to Dr. Ben LaBrot to ask him about this lesion. Without skipping a beat he said, “leshmaniasis, a skin parasite that is carried by the sandflies.” I have since learned more about leshmaniasis and other fascinating parasites, but see this moment as the beginning of my interest in tropical medicine. We later saw Mariana and her entire family in clinic and after learning more about her and performing an exam, we helped with the things we could but ultimately had to make the recommendation that her parents take her to the district hospital for treatment. The medication used to treat these lesions, a long course of pentavalent antimony, was beyond the scope of a one-day clinic. The family thanked us, and Mariana gave me a hug at the end of the day. I think she enjoyed watching us work and seeing patients. This encounter happened during one of my first clinic days 7 years ago when I was first a Floating Doctor volunteer. From then on, I was hooked. I loved learning whatever I could about tropical medicine. Who would have guessed at my fascination with intestinal parasites and leshmaniasis? 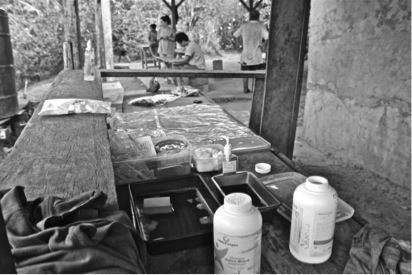 But, beyond the medicine, I loved the communities we were serving. I loved learning about the culture and language all while traveling by boat and regularly seeing porpoises on our commute to work. During this first trip, I had the opportunity to be in Panama for about 7 months before needing to return to Seattle to start medical school. I remember feeling very torn, both excited for the next step in my training, but sad to have to leave a part of the world I had grown to love and a set of incredible people. Looking back, my current career path was heavily influence by this time in Panama. The mentorship and leadership that I received by Dr. Ben LaBrot and some of the other providers is one of the reasons I am currently training in family medicine. I love family medicine as it allows me to develop long-lasting patient relationships, connect with the broader community, and tackle some of the challenging issues facing patients today including healthcare disparities. This work is not unlike that of the Floating Doctors. This September, after 7 years, I finally had the opportunity to make it back to Panama. I honestly didn’t know what to expect, I had heard rumors of new volunteer bunkhouse and base, 20 staff members, and a formal pharmacy, all of which were just dreams 7 years ago. And indeed, I was astounded by the amount of progress Floating Doctors made! I will admit I was a bit nervous getting into the boat on the morning of the first clinic. Would I know enough? Would I live up to the providers that encouraged me along the path I am on? My nerves quickly faded as I picked up the first set of patient charts and sat down with a mother and her 4 children. My Spanish slowly came back and I started taking a history like I have done hundreds of times in many different situations. 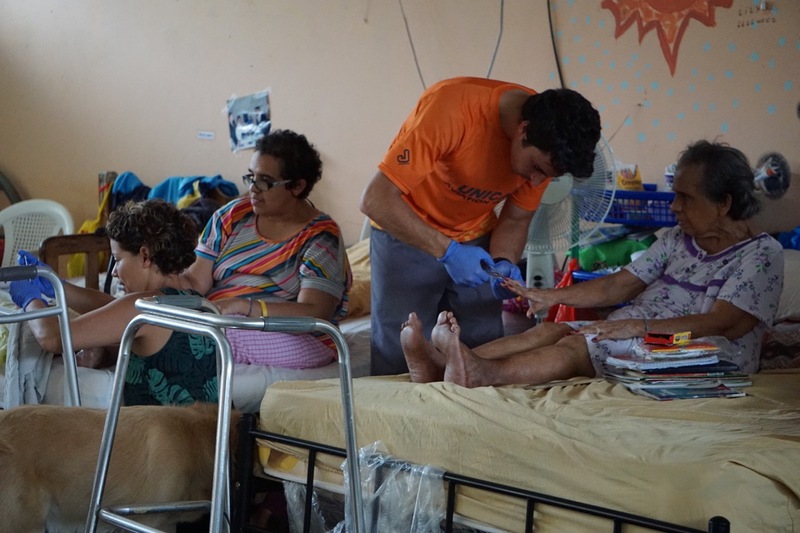 Despite the surroundings, seeing patients in Panama feels similar to the US. The chief complaints are for the most part similar; headache, rash, knee pain, back pain and insomnia. One thing I must admit is that for abdominal pain, I was not as accustomed to asking patients if they have seen worms in their stool! Although so much has progressed with the Floating Doctors since I had been away, I was also amazed at how similar it felt. 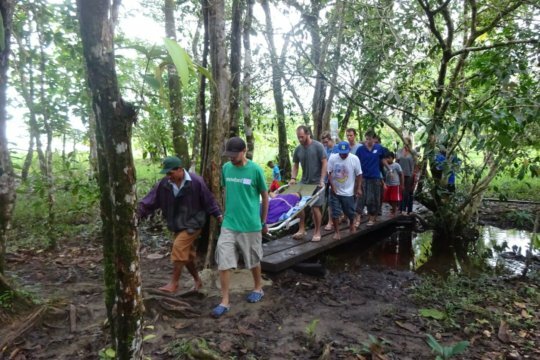 Even though they have been able to see more patients, do more clinics and keep better records, the sense of mission and commitment to the Ngäbe communities was completely intact. 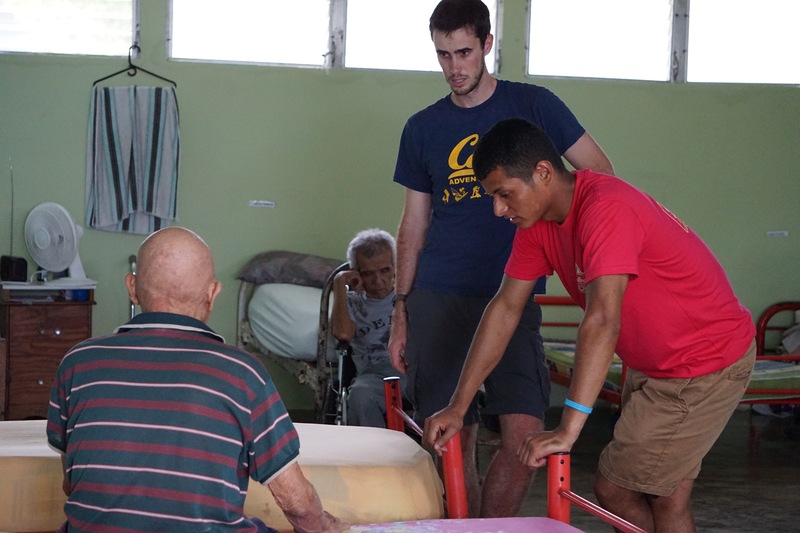 The feel of the clinics, the patients, and the empathetic care they receive was all just as I remember it. And finally, the organization still depends on everyone bringing new ideas, energy to problem solving and the occasional stroke of brilliance to push things forward. 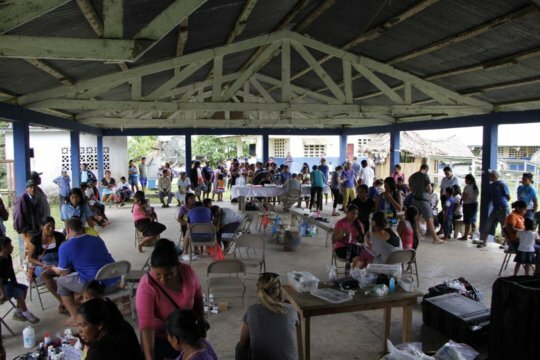 There’s a lot of need for good problem solving when it comes to community healthcare in Panama. Even with all of the progress, I worry about the Ngäbe communities and the individuals I met. I worry about their increasing access to processed foods, snacks, sodas which is leading to increasing obesity rates, hypertension, and diabetes. These can be challenging issues to treat in remote communities where medication adherence and the need for at least occasional monitoring is important. This is coupled with a national health care system that makes it challenging for Ngäbe patients to get the care they need when they go to the larger hospitals. During this most recent trip, I couldn’t help but think back to Mariana and wonder how she was doing. I could imagine her as a great doctor herself someday, with her inquisitive mind and openness with me 7 years ago. Unfortunately, I know that is a long shot for her as she is likely still living in a community where ~60 percent of people over 10 are illiterate and ~91 percent of people make less than $2 a day. For me, this is the challenge of working in Global Health and what keeps me engaged and passionate. The inequalities seem vast and sometimes insurmountable. I am constantly reminded of the work that needs to be done. I am so thankful for organizations like Floating Doctors who are able to slowly work towards change. 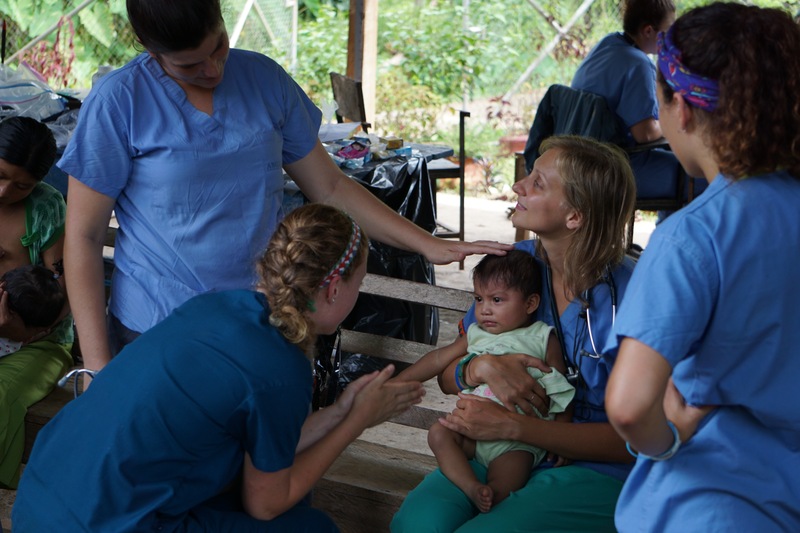 After my time in Panama, there are a lot of projects I would love to work on, but alas, this only ensures that I will be back, hopefully sooner than 7 years…and when I come back, I can’t wait to see what Floating Doctor’s dreams have become reality.